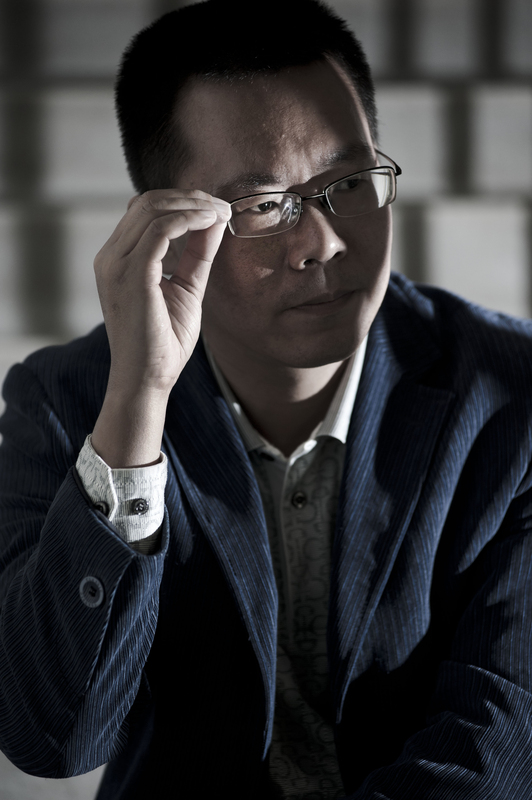 Simply put, Teng Biao (滕彪) is one of the best known human rights lawyers and legal scholars in China. This is his preface to a memoir entitled “A Worthwhile Trip—A Documentation of Beijing Reeducation-through-Labor Dispatch Center”, in which he looks deep into what these camps do to inmates as human beings. It’s much worse than just turning them into cheap labor making Christmas gifts for the American market. It’s inconceivable, in a modern society, to detain a citizen for up to three, even four, years based merely on police decisions without going through any proper judiciary procedure. But in present-day China, it is a vivid reality, and hundreds and thousands of Chinese citizens have fallen victims to it. That is since China’s re-education-through-labor system was implemented in 1957. More and more scholars, lawyers and citizens from all walks of life have been making strong demand to abolish it, while the international community has also been pressing China to end it by honoring a series of international human rights conventions that China has adopted. But until today, re-education-through-labor is still widely used. Re-education-through-labor camps detain not only petty criminals, but also drug addicts, prostitutes and clients of prostitutes, and people with mental illnesses. More and more, it has been used to persecute Falungong practitioners, petitioners and dissidents. Like with most of the things in life, people often are satisfied with a general impression or prevailing description without a chance, or the willingness, to explore and study it in detail, especially the fate and the feelings of the people involved. On topics such as that of war, disaster, mass murder, imprisonment and torture, we tend to, intentionally or not, avoid its dark and bloody depth. But this is precisely what good writing does, especially documentary writing. It is an important addition to our routine experiences. We must face it all; we must not pretend these things have never happened. The book in front of me, A Worthwhile Trip—A Documentation of Beijing Reeducation-through-Labor Dispatch Center, is a witness’ testimony of China’s re-education-through-labor system. It reveals the system to us, and at the same time, it also raises much larger issues about our political system, society and human nature. The author of the book is Ye Jinghuan (野靖环), a victim of “Xin Guo Da” futures fraud (新国大) in late 1990s involving former Prime Minister’s son. During eleven years of petitioning, she was repeatedly beaten by police, detained, arrested, and finally been given reeducation-through-labor. In the Reeducation-through-Labor Dispatch Center, she suffered various torture, sometimes on to the brink of breaking down. But she kept telling herself, “I can’t die, I can’t lose my mind, I must get out of here alive! I must tell everyone about the evils of re-education-through-labor, and I must tell it to posterity!” Because of her refusal to give in, the world is able to see the true face of re-education-through-labor. At the same time, writing is cathartic for the author; through it she is able to re-examine life and participate in reality constructively. According to the author’s investigation, most petitioners among RTL detainees have been subjected to electric baton and confinement in the “little dark room”. Even though China adopted the UN Convention against Torture in 1988, torture is still widely used these days in detention centers, prisons and other incarceration venues, and a great number of citizens die of it, or are debilitated by it. Torture perpetrated in RTL camps is extremely cruel; brutalities against Falungong practitioners are beyond imagination and continue to be perpetrated. The persecution of Falungong has long marked the nadir of human civilization, and constitutes, without a doubt, crimes against humanity. But internationally and domestically, only a few are willing, or would dare, to condemn it. For intellectuals and politicians, it is an irony and a shame that will only grow as time moves on. The “characteristics” of Chinese prisons lie in that “law enforcers humiliate and abuse prisoners as a part of the system,” said Wang Lixiong when commenting on Liao Yiwu’s Testimony. A Worthwhile Trip is less about physical abuses than the routine “teaching” in the camp that abuses and tortures the “RTLers” mentally. Many of its rules and informal requirements are designed to humiliate people so as to destroy their basic dignities as human beings. For example, “Head must be lowered when walking in hallways, lining up, speaking to police officers. Standard head-lowering is to look at the tip of your toes.” For another example, no going to restroom is allowed except at designated times. “Shoes, tooth brush and other objects must be displayed in a straight line; no compromise is tolerated.” If you wash your neck when you wash your face, watchers will call you out immediately, “Who said you can wash your neck? Wash your face only, no washing anywhere else!” To receive your meal at meal times, male RTLers must kneel on one knee with both hands holding up the bowl. Damp clothes cannot be dried over bedframes or chairs even during the night. No looking out the windows. RTLers must address each other by names; calling someone “Aunt” or “Sister” will result in point reduction for behavior. Such requirements are ubiquitous. The first day in the Center the cadre said, addressing to the newcomers, “To put it simply, don’t think you are a human being.” While urging the RTLers to forget about what it means to be a human, the administration officers indeed carried out that advice. Some RTLers summarized the methods as “Strike down your self-esteem; destroy your soul; humiliate your dignity; and weaken your health.” Obviously, these methods are not meant to “educate and reshape” but to degrade. Along with physical “disciplines” are remake of the mind. For any little error that’s been discovered, you have to repent in writing. Those who are disobedient or unwilling to give up their beliefs are subjected to a form of solitary confinement, Bao Jia (包夹, wrap and sandwich) where two or more RTLers are used to punish a particular RTLer by sandwiching him or her 24 hours a day so that he or she will have no freedom whatsoever to move or talk. Other punishments include reducing his or her points, denying family visits, extending or threatening to extend, his or her sentences. Bao Jia seems to be a unique Chinese invention. According to the rules, the sandwiching RTLers must stay less than 10cm away from the sandwiched RTLer, and they are required to keep detailed record of every utterance, every movement, and any mood changes of the RTLer. Even his or her sleep has to be described too. One time, Ye Jinghuan was upbraided for having “too relaxed expressions” that the lieutenant noticed from surveillance cameras. Along with microphones and small speakers, they readily remind us of the screens and the Big Brother in 1984. In the camp, the more you appear strong, composed and humane, the more they hate you. Those who are degraded to the level of a worm or an insect submitting to the apparatus or becoming its helpers are the ones who please the camp keepers the most. From that point on Lu Jing changed. It is a minute story of how a Re-education-through-labor camp is a place that eats up and erodes away your humanity. It puts everyone in a moral dilemma: If you follow your conscience, your sense of right and wrong, you will hurt yourself. It works the same for both the detainees and the jail guards. Victims become tormenters. In too many cases, “criminals” watch, beat, torture their peers way beyond policy allowance, sometimes way harsher than the abusive guards. On the other hand, persecutors are also victims. As they abuse others physically and destroy their dignities, they themselves also lose the wholeness of human beings; as they make others less human, they are doing the same to themselves. Remarkably, Ye Jinghuan managed to maintain her dignity in such a hostile environment. She taught others to read, helped others to write letters. She didn’t just fight for her own rights; she also helped others stand for their rights. Sometimes, in the camp, the protest would actually have a little effect, even to the point that these results may become customary that would benefit other inmates. Sometimes, Ye Jinghuan struggled, disciplinary cadres would make other inmates “keep her company,” and she was forced to give up the fight in consideration of the interests of others. To record sufferings is to prevent tragedies from happening again. After the author obtained her freedom she wrote to a disciplinary cadre saying: “I wrote this book, in the hope that these stories of blood and tears of the inmates never occur again, and I hope that you will stop abusing inmates, stop participating in such violations of human rights and things that offend the heaven and the reason. Let it all become history!” But Ye Jinghuan heard no response. Reeducation through labor is an anti-human system, and its existence is a shame to humanity, not merely a disgrace to the Chinese people, just as Auschwitz is not just for the Jews, but for all humanity. It is an evil system entangled with the evil in human nature: men’s choices of actions define the system; and the system in turn encourages the dark and evil side of human nature, thereby creating more sins. Institutional evil does not absolve individual responsibility. A system is not an abstraction without action takers, nor is there a law that can implement itself once written in words. If all sins are easily blamed on the “evil system of reeducation through labor “, that is tantamount to giving up the individual responsibility of humanity and the meaning of life. If there is no remorse and self-reflection, the sins of any evil regime will not end. To face the truth and to refuse to forget are the precondition for reflection. For those who live under the totalitarianism and those who witnessed the evils and sufferings, remembrance and recording are a way to restore their humanity, also a meaningful resistance. Once the truth is spoken, it cannot be defeated by violence; once testimony is made, it cannot be buried and forgotten. “Those who cannot remember the past are condemned to repeat it” (Santayana). Without remembering, it is very difficult to become a complete person; just as without hope, it is difficult to develop human nature. Memories and hope are essential for the advancement of humanity. Our actions and dreams alike are all connected to remembering. Many authors have discussed the political and philosophical significance of memory. Günter Grass believes that the essence of literature is memory. When he received the 1999 Nobel Prize for Literature he said: “Literature is still a force, people are eager to forget things, but literature can remember them for a long time.” Nobel Peace Prize winner Elie Wiesel wrote that remembering “is not a profession, not an ambition, but an obligation.” Avishai Margalit spent a whole book discussing “The Ethics of Memory,” and he believes that interpersonal relationships include a moral obligation to remember, and when murderous crimes against humanity occurr or universal humanity is under attack, individuals bear the moral responsibility of preserving the memory. People must remember the evil events that destroy humanity. Totalitarianism seeks to control memories, making people forget the real history. Those who dare to tell the truth would be subject to varying degrees of punishment, because the truth in the records and speeches are often testimonies of crimes that the totalitarian rulers want to conceal. If nobody testifies and remembers, the suffering of the people will never stop, and the perpetrators will continue their crimes with impunity. We must be worthy of the immense sufferings we have been subjected to. The suffering of the Chinese people over this past century is similar to that experienced in Auschwitz. Liao Yiwu (廖亦武), Yang Jisheng (杨继绳), Zheng Yi (郑义), Long Yingtai (龙应台), Yang Xianhui (杨显惠), Yan Zhengxue （严正学） and other writers have written powerful works; and we have reason to call out more powerful memories and narratives of the past and current suffering. We look forward to China’s own Wiesel, Solzhenitsyn, Celan and Kapuscinski. No matter it is through testimony or works of fiction, real literature must be true to our history, must ruthlessly question our own souls, and compassionately gaze at the future of the human race. By T in Human Rights & Civil Rights, Rule of Law, Uncategorized on February 12, 2013 . I have worked on assignments in China always in conjunction with government agencies as well as with the Amity Foundation. On one of those assignments when I was to be met by the Minister of Public Heath who was waiting for me at the Beijing airport a customs official denied my entry into the country because I mistakenly showed him my Taiwanese visa. (I do not read Chinese script) I was given the choice of going to jail or return to Japan. JAL representatives tried to convince the Customs official on my behalf. I apologized several times and asked if I could step over to the visa counter to obtain the correct visa. (My passport showed that I was a regular guest in China) The actual issue was that these two men did not get along very well, Japanese and Chinese as they both worked at the airport. The argument became very heated while the JAL flight lingered a long time waitng to return to Tokyo. The Minister of Public Health tried to intervene but did not succeed. The official reception was cancelled. That same Minister of Public Health was eventually put under house arrest for assisting students injured in the Tianamen Square event. Once I returned to Beijing to perform my work there the Minister simply shook his head and apologized for my inconvenience. The American embassy told me that there was nothing they could do but recorded this incidence as just another arbitrary action by the customs people. At great expense I returned to Japan, obtained a visa there and returned to China. That same customs official greeted me with a warm smile. JAL never reimbursed me for the extra round trip but agreed that this should never have happened.. .